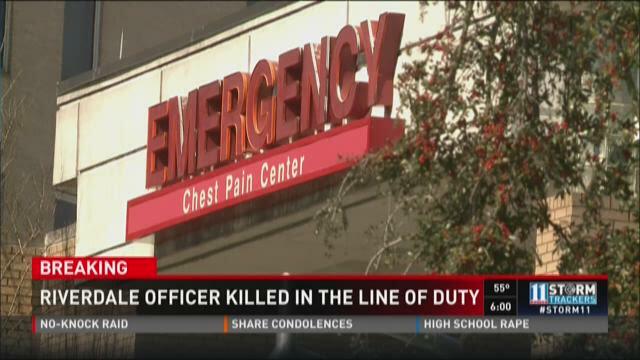 RIVERDALE, Ga. -- Major Greg Barney is now a statistic, the sixth police officer killed in the line of duty in this country in the past few days. But after serving the community in Riverdale for more than two decades, it is very clear he was much more than that. Major Barney was a Riverdale police officer for 25 years. At one point, he ran Riverdale’s criminal investigation division. 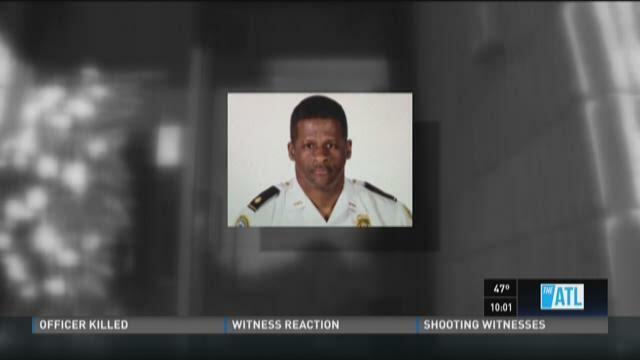 He was also an interim Chief of Police. Many residents stopped by the police department to pay their respects Thursday. Flags outside the building were lowered to half-staff. A floral wreath was placed in front of the entrance. Major Barney was assisting Clayton County police serving a no-knock drug warrant at an apartment complex right across the street from the police department. The suspect police were looking for ran out the back door and Barney chased him. Police said the suspect turned around and Barney once in the stomach and once in the leg. Barney was not wearing a vest. You can follow Kevin on Twitter @krowson11alive and like him on Facebook.